Al Stone, L.Ac, DAOM: In 1995, Al Stone founded Acupuncture.com, a site that earned numerous awards and international goodwill while he was in the driver’s seat there. Al was a graduate of both the masters and doctoral programs at Emperor’s College in Santa Monica, CA, where he also served as an intern clinic supervisor and classroom instructor for many years. To his great regret, he sold acupuncture.com in order to pay for his trip to China. He then founded other popular Chinese medicine related websites such as gancao.net and eagleherbs.com. Gancao.net serves practitioners of Chinese medicine and provides insight into Chinese medicine diagnosis and the legalities surrounding the use of Chinese herbal supplements. Gancao.net also provides hundreds of case-studies and healing protocols for and by acupuncturists and Chinese medicine herbalists worldwide. 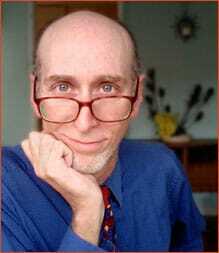 Eagleherbs.com was the outcome of his 15 years of experience in bringing the highest level of herbalism to the online community. Creating customized formulas following an extensive consultation was unheard of in the early days of the internet, but because of Al Stone’s significant online presence, the need to provide this service became clear beginning in 1995. He had been working with individuals all over the world since then. After graduating in 1997, he traveled to China where he expanded his education as an intern at the Yunnan Provincial Hospital of Traditional Chinese Medicine. There, in the “springtime” city of Kunming, he worked side-by-side elder doctors who were experts in internal medicine. It was from these elder masters that he witnessed the profound benefits that herbal medicine can provide, as well as the path of the Lao Zhong Yi (elder Chinese herbal medicine doctor) that became his professional path. His online mission is to reach those who don’t have access to a professional grade Chinese internal medicine practice. Al Stone maintained a private practice based in Santa Monica, California since he returned from China in 1998. Al’s patients had often sought out his help for digestive concerns, gynecology and male urology, dermatology and stress related disorders. Emotional, neurological, and hormonal issues such as depression, anxiety, insomnia all respond very well to Chinese herbs and offer a significant improvement in his patients’ quality of life. In 2012, Al found out that what he thought was a minor eye problem was being caused by a rare but deadly ocular melanoma. Despite western treatment and Chinese herbs, Al passed away early in the morning of May 24th, 2013 with his brother, Ken, at his side. He was an avid enthusiast of tai chi, meditation, bicycle riding and drumming circles in Southern California, USA. Hu You-ping, Stone, Al. (ed and co-author) The Clinical Practice of Chinese Medicine: Pain. People’s Medical Publishing House. 2012, Beijing, PRC. 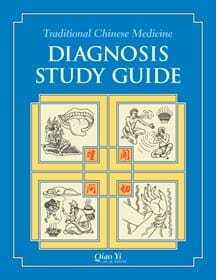 Co-Author of The Traditional Chinese Medicine Diagnosis Study Guide with Qiao Yi. Eastland Press, 2008.. This book has been added to the NCCAOM recommended reading list for Acupuncture, Oriental Medicine, and Chinese Herbology exams that lead to licensure in many states. Chen Da-can, Xuan Guo-wei, Stone, Al. (ed.) The Clinical Practice of Chinese Medicine: Lupus Erythematosus. People’s Medical Publishing House. 2007, Beijing, PRC. Chen Da-can, Xuan Guo-wei, Stone, Al. (ed.) The Clinical Practice of Chinese Medicine: Scleroderma and Dermatomyositis. People’s Medical Publishing House. 2007, Beijing, PRC. Co-Author of The Traditional Chinese Medicine Formula Study Guide with Qiao Yi. Snow Lotus Press, 2000. “Al was my good friend. He had some wonderful assistants working with him at Eagle Herbs and we promised him we would carry on with the business with the same quality that he had always provided. I am also an acupuncturist and herbalist and had know Al for over 20 years. So for a couple of decades, we had long, long discussions about herbs and the best way to know and prescribe them. Al was not afraid of dying and as he was a very spiritual man as things go, even in his illness, he did it with humor and class. Before he died, Al asked me to take on Eagleherbs.com. We had a very intense month of making the transition before he passed away. I’ve had 30 years interest in alternative health, herbology and Chinese Medicine. I started acupuncture school in 1991 and passed the National exams in 1995 and the California acupuncture license (L.Ac.) in 1996. I am proud to have joined a tradition of herbs and acupuncture that have been used in Asia for thousands of years. I teach at local schools and has also undergone advanced clinical training overseas, first in the Chinese Medical University in Shanghai and then twice at the City Traditional Hospital in Beijing. I have had experience working at the Turnabout Acupuncture Center for Addictions, and supervising students at the LA Free Clinic and the Venice Family Clinic. People tell me I am a “go-to-person” about Chinese Herbs and Chronic Hepatitis C and have taught many classes on the subject to other acupuncturists in Los Angeles. I teach and supervise in the clinics of Emperors College and YoSan Universities in Los Angeles, CA.